The Syrian brown bear was classified as subspecies Ursus arctos syriacus. in 1828 by naturalist Wilhelm Hemprich and zoologist Christian Ehrenberg. 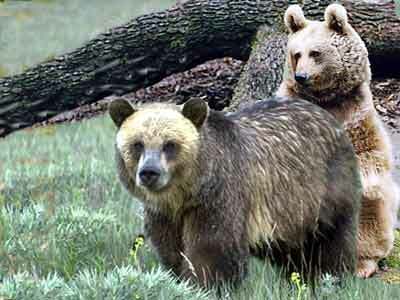 The Syrian brown bear sleeps and hibernates in caves and hollow trees found in mountainous areas. 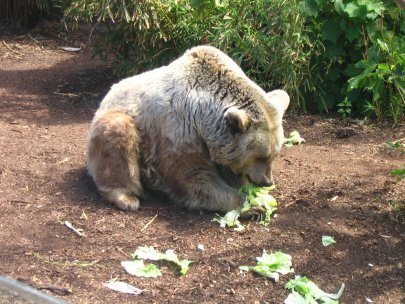 Historically, the Syrian brown bear could be found in Turkey, Egypt, Israel, Syria, Lebanon, Palestine, Iraq, Iran, Afghanistan, northwestern Pakistan, and parts of the former Soviet Union. However, their number continues to decline and fragment because of habitat loss and poaching. They can no longer be found in Egypt, Israel, Lebanon, nor Syria. The Syrian brown bear weighs up to 550 pounds and measures anywhere from 40 to 55 inches from nose to tail. It is overall the smallest bear of the Ursus arctos species. The most common color is a very light greyish brown. The lighter colors usually appear at higher altitudes. They may have a dark brown patch on atop their heads, a white collar, and a dark stripe down the back. Their legs are commonly darker than the rest of their body. It is the only known bear in the world to have white claws. There are some bears farther to the north that are believed to be a cross between Eurasian brown bears and Syrian brown bears. They are larger in size than the Syrain brown bears and have reddish brown fur. Birth takes place during hibernation during the winter. Cubs are very small at birth, but grow quickly. The population of the Syrian brown bear continues to decline. It is already extinct in Egypt, Israel, Lebanon, and Syria, due to habitat loss and poaching. It may be close to extinction in the wild.